Looking for some time to spend with your family? 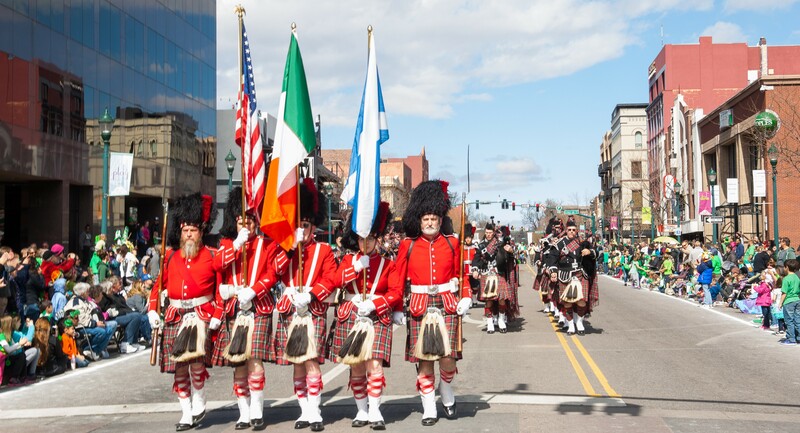 This Saturday would be a perfect time to attend the St. Patrick’s Day Parade in downtown Colorado Springs! The first annual Colorado Springs St Patrick’s Day Parade was held 34 years ago in Old Colorado City. After outgrowing the West Side we moved our festivities to the center of the city. Today we are the biggest and best start to events in the heart of Colorado Springs’ Downtown, every year! You can also participate in other events such as the 5k RUN! Join one of the states largest 5k runs as thousands of kilted and shamrock bearing runners paint downtown in a sea of green! Kids fun runs, sports expo, and other activities available. Make sure to get your kilt so you don’t get pinched! This is the 34th running of one of Colorado Springs oldest races and fits in with the second oldest parade in our community. The 5K on St. Patrick’s Day kicks off the start of the running season for runners in the Springs and is one of the fastest 5K’s in Colorado Springs. The course is run mostly on Tejon Street, starting and ending at Acacia Park. Don’t forget to buy your kilt so you can run in style! Runners and Walkers Welcome! Come on Downtown for the start of the Running Series! Packet pick up is FRIDAY, MARCH 16th at the Sports Expo at the Pikes Peak Center, 190 S. Cascade Avenue. Hours are 10 AM to 6 PM.